When one of my girlfriends called me and told me she won a night’s stay at a hotel in Grand Bend Ontario and asked me if I’d like to join her, of course, I said yes! I knew nothing about the region at all other than it was on the other side of Southern Ontario. 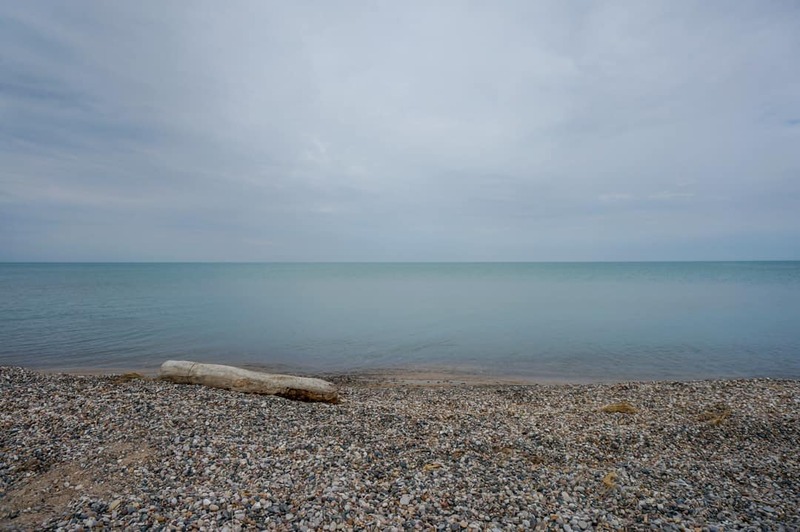 What I discovered was a great beach vacation destination in Ontario’s Southwest. 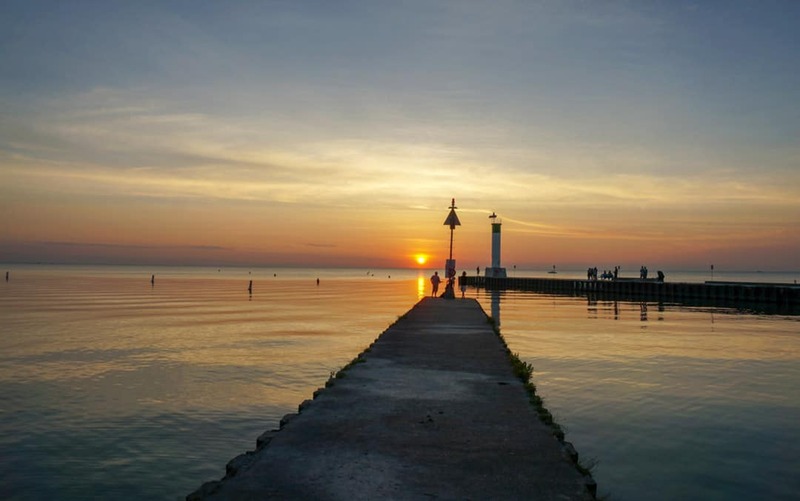 The town of Grand Bend sits on the shores of Lake Huron and the drive from Toronto was under three hours. 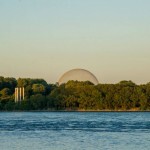 The region is trendy in the summer months as it has some incredible beaches which make it a popular Ontario beach destination. 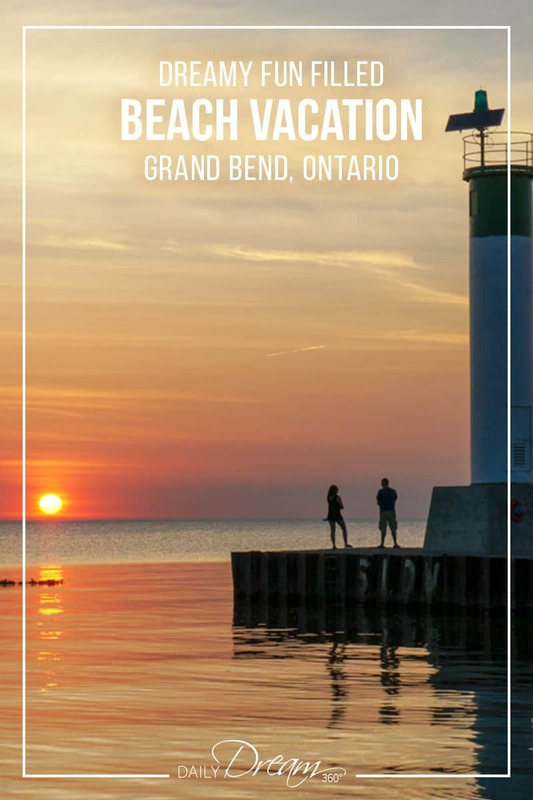 With just two short days in the town, we accomplished a lot, here is my list of things to do in Grand Bend. You can not come to this region and miss visiting its fantastic beaches. There are many options available for families, those looking for a quiet spot or those who want to be in the midst of all the fun. Thanks to the Pinedale Motor Inn we were given a Provincial Park pass to visit the park. On their suggestions, we made our way through the windy roads of the provincial park in search of beaches. There are eleven beach spots at the Pinery, and even with the park map, we got a bit lost but eventually found ourselves at the Dunes Beach. All I have to say is that Lake Huron is impressive, and I can’t believe this was my first visit there. Blue waters as far as the eye can see and they were clear and clean, and I wasn’t afraid to go for a swim. (I have this thing about Lake Ontario being toxic and won’t even put a foot into it.) The Dunes beach was a bit rocky, but it was mentioned to us, that it is quieter than the other beaches in the park. 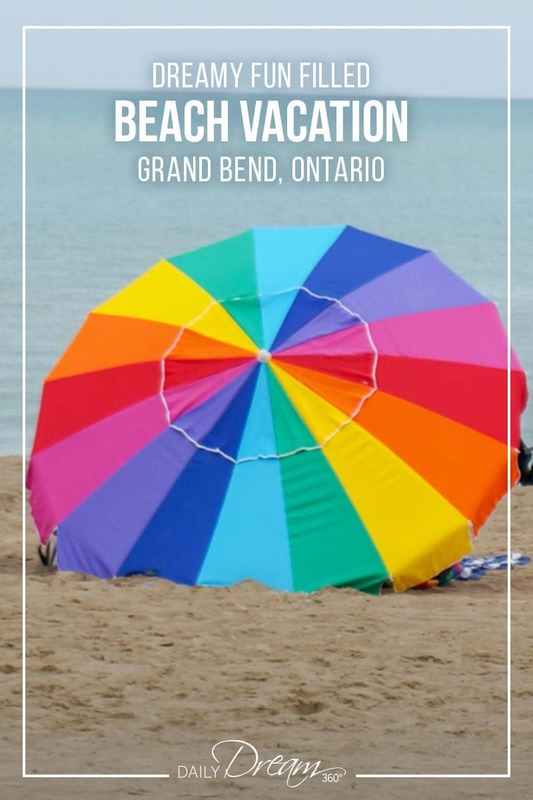 The main attraction in Grand Bend Ontario is its main beach. As you drive through the cute beach shops, the town’s beach vibe begins to take shape. A busy attraction, this beach was filled with tourists, locals, families and just about everyone in the mood for some fun in the sun. 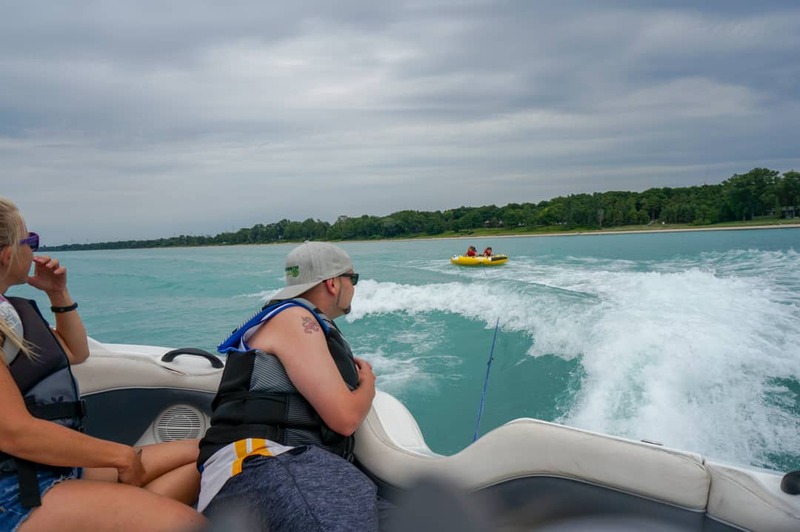 Be sure to check out X-treme Water Sports which located at the Grand Bend pier. They took us out on one of their speedboats for a tour of the lake. They also offer the popular new watersport Flyboarding, jet ski rentals and water tubing. If you want to hang out in the boat while they zoom around the lake, they can do that too. 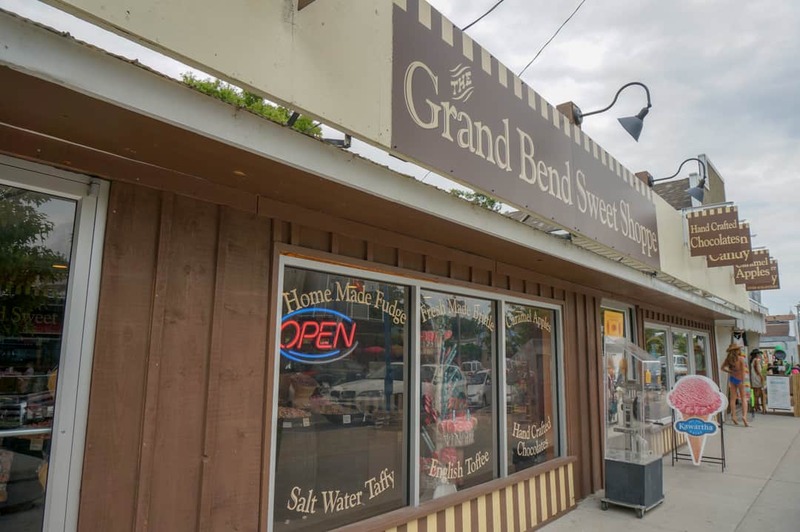 As you drive into the beach area in Grand Bend, you will see the busy shopping stores and eateries all around. 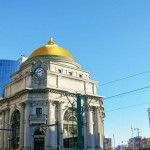 It is a long strip of local shops, fast food spots, fashion and souvenir shops. 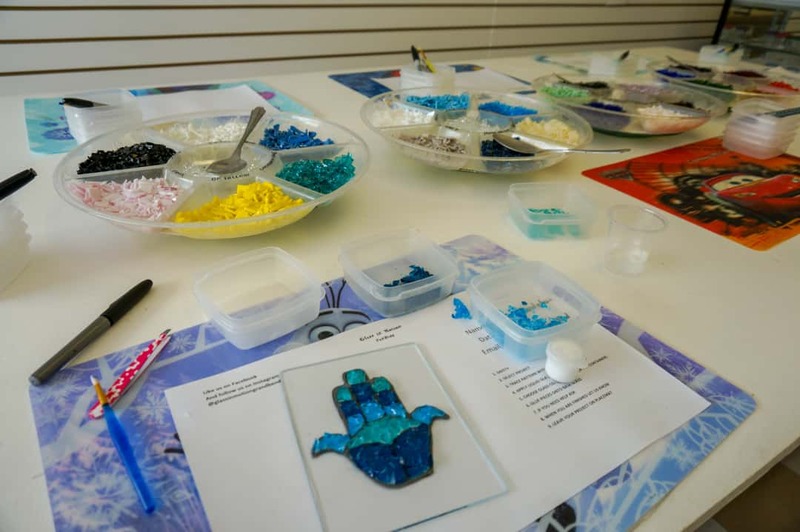 We took a break from the hot sun and challenged our creative side at the Glass in Motion studio, located at the beginning of the long strip of beach shops. Inside you can shop for some incredible glass jewellery or create your glass art. using colour bits of glass and glue you can choose from hundreds of templates, in different sizes and price points and create your masterpiece. A note you have to pick up your glass the next day so you will need to be in the area overnight to partake in this activity. Our second day in the area was a scorching 40 degrees. Luckily we scored tickets to the Canadian Legends show at the Huron Country Playhouse. 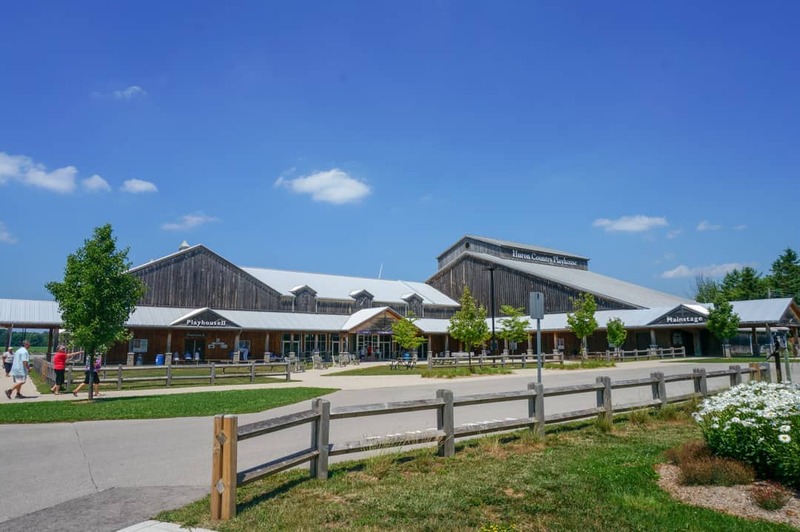 The Drayton Entertainment group has seven theatres across Ontario which feature some great local theatre. I have visited the St. Jacobs Theatre earlier this summer, and it too was a great show. 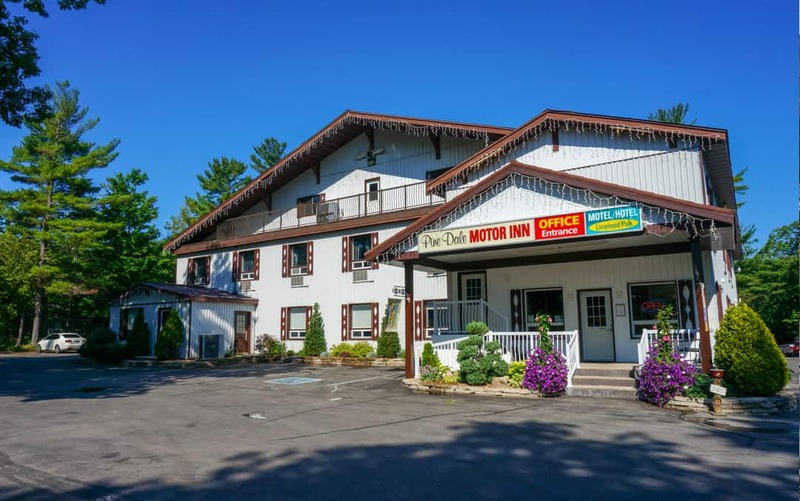 If you haven’t had a chance to check out one of these theatres I recommend you check it out, it is very affordable and casual and a great add-on to an Ontario road trip. 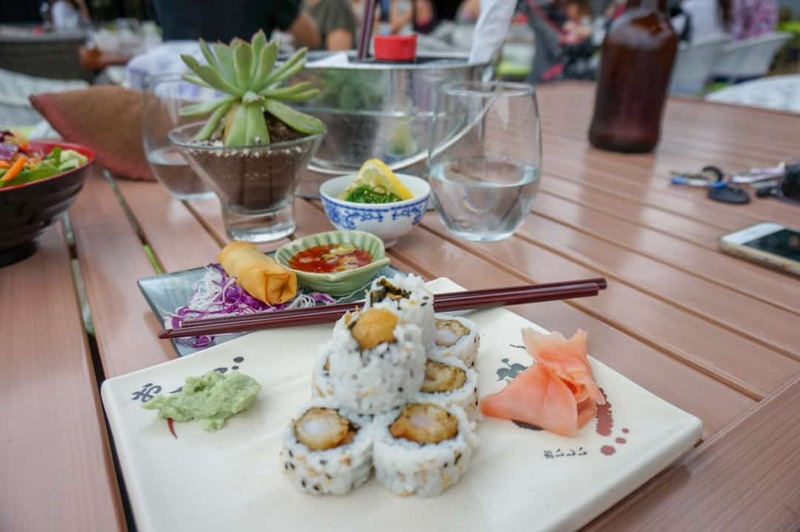 If you need a break from beach grub and want a great sushi spot, then lunch on the Midori patio is for you. We had a great sushi lunch watching the people walking in the busy shopping neighbourhood on their way to the beach. Good food, excellent service and a large patio. Every small town has to have at least one candy store or chocolate shop, and Grand Bend does not disappoint. 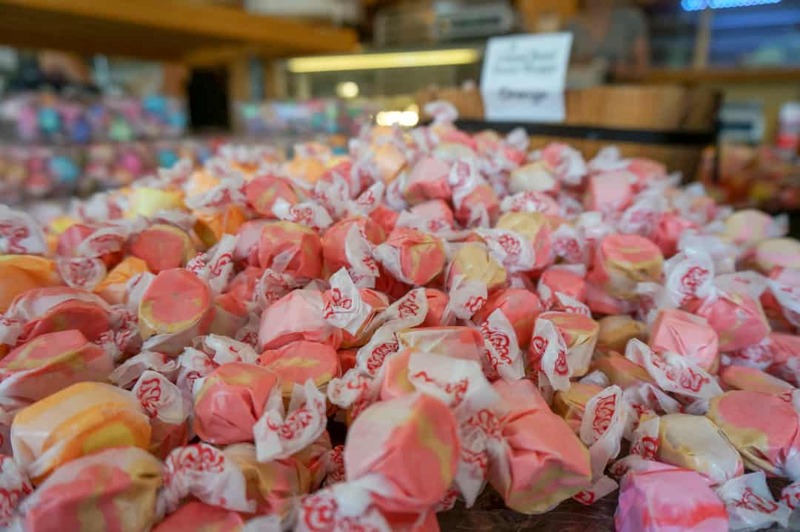 The Sweet Shoppe features piles and piles of gooey salt water taffy, all the chocolate you can eat and is an excellent stop for ice cream on a hot day. 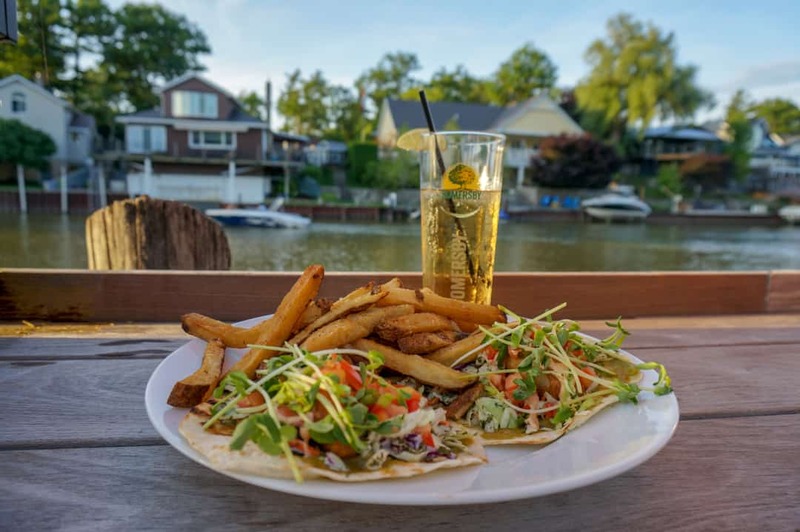 Located in the channel among the docked boats and yachts Smackwater Jack’s is the perfect spot for some fresh local grub along the water. Dinner on their patio is a must. We had an incredible view of the sun setting right from our seat on the patio and made it to the end of the pier just in time for an extraordinary Lake Huron sunset. For a full review of this restaurant see our post: Patio Heaven at Smackwater Jack’s Taphouse. Again thanks to recommendations from the Pinedale we happened to find this fantastic spot tucked away off the beaten path in Grand Bend. By some miracle, they had a table for us. 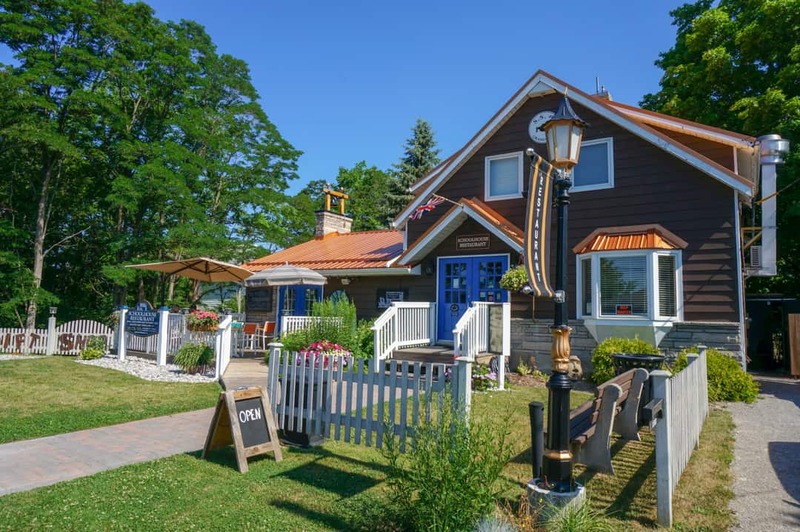 Even in the middle of the week, the Schoolhouse Restaurant was booked with reservations, and I can tell you why – it is incredible! Fresh local food made from scratch every day this is a must stop when visiting the region. 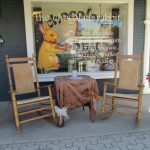 See our post: Top of the Class Breakfast at Schoolhouse Restaurant in Grand Bend. Pin to your favourite beach destination board! This trip was a vacation, some travel assistance (theatre and boat tour) was provided by Ontario’s Southwest. The opinions as always are my own. it sounds like a great place to visit. Beaches are inviting. Thanks Sharon for the article.